Barbara Swanson, who is Chair of Minnesota’s Juvenile Justice Advisory Committee, is working with HKI to further the Honor Project in Minnesota. 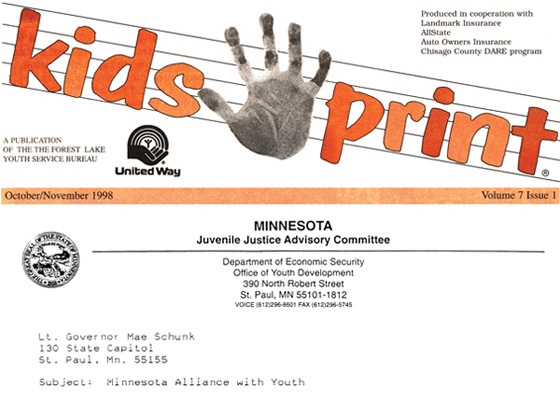 Barbara is responsible for having the Honor Code published in “Kids Print” reaching 10,000 students in Minnesota. She has written Lt. Governor Mae Schunk asking her to integrate the Honor Project with the MN Alliance with Youth. The Alliance with Youth, an arm of Colin Powell’s America’s Promise in MN recently displayed our universal Honor Pledge poster next to their “Peace Ship” at their State Fair. Our handouts said “We’re taking this value system across the Globe — Come On Board, Together We Will Stop The Violence”. Michael Radmer co-chair of the Alliance With Youth continues to travel across MN carrying the poster and our message in order to stop the violence we must implement and practice the Honor Pledge. 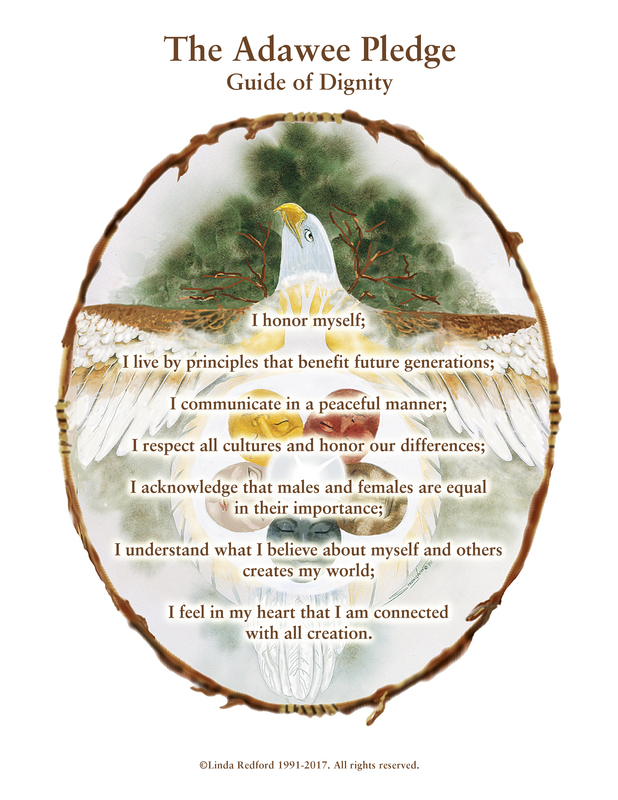 In 1998 Kay Pranis received the Minnesota Peace Prize for her work with Restorative Justice. She is a friend of HKI and working closely with us. She co-authored Peacemaking Circles: Using Conflict as an Opportunity to Build Community. The Honor Project Prevention Program and Restorative Justice together can prevent violence.